Keeping the Pounds Off! : The New Math? 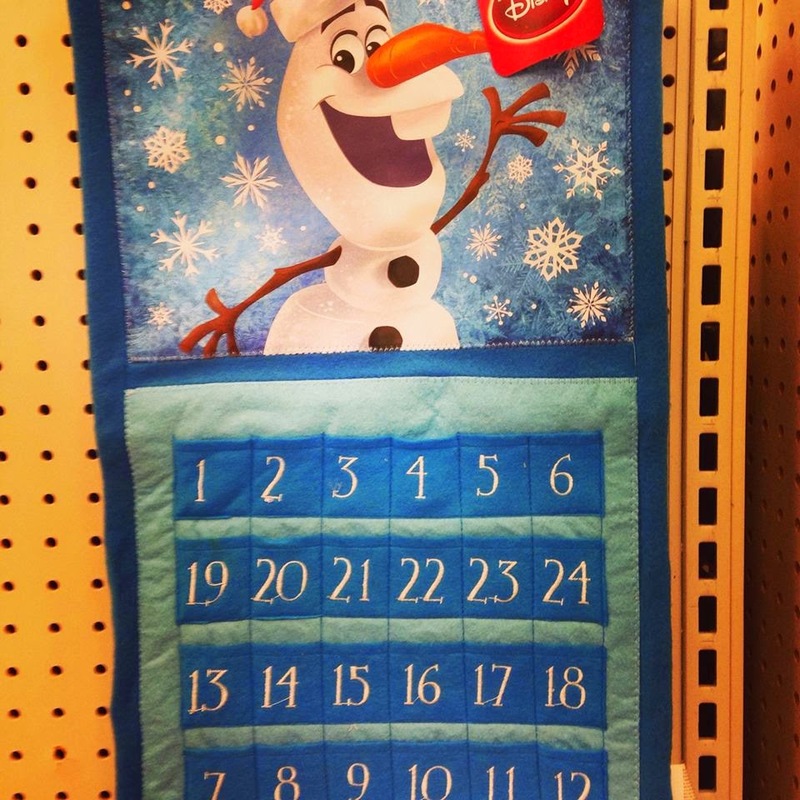 This is the Frozen Advent calendar they are selling at Target this year. This is the only one left on the shelf so I cannot tell you if they were all made incorrectly or if this was an abnormality. If you are going to Target, please look for it and tell me if they are as ridiculous at your store as they are here. If you insist on stuffing your Advent calendar with candy, each 'pocket' on this calendar does not fit more than a single peanut M&M. It is not worth the effort. I will look and let you know. Candy is not needed for advent. What would be GREAT even with the tiny pockets is a rolled slip of paper with a family activity for each day. Could be sing a song, say a prayer, look at holiday lights, cook something specific for dinner, etc. Did look. They carried 2 other advents, all numbers correct, different styles than yours.